No matter the mood you're in, B.o.B's music can always serve as the soundtrack for your feels. Setting the tone for a Friday night out? "HeadBand" is your best bet. Making a mixtape for bae? Pop on the always appropriate, "Nothin' on You". Trying to turn the party into to an full-blown sing-along? "Airplane"—done and done. 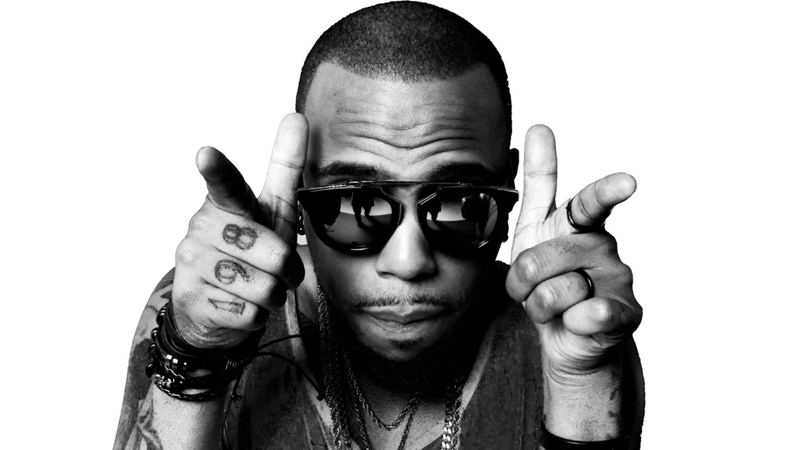 The Atlanta rapper has provided us with more hits than we can count since he emerged on the scene in 2009, earning worldwide success with his RIAA double-platinum debut album, B.o.B Presents: The Adventures of Bobby Ray. We've been rocking with him ever since, holding all of three of his feature-heavy releases near and dear to our hearts (and our Starred playlists). His most recent single, "4 Lit" featuring T.I. and Ty Dolla $ign signaled that new music was on the way, leading up to the announcement that his fourth LP, ETHER, would be arriving on May 12. While the promise of new music alone had us amped, Bandsintown can now exclusively reveal that the six-time Grammy Award-nominee will be hitting the road this summer to play his slew of bangers for fans nationwide. 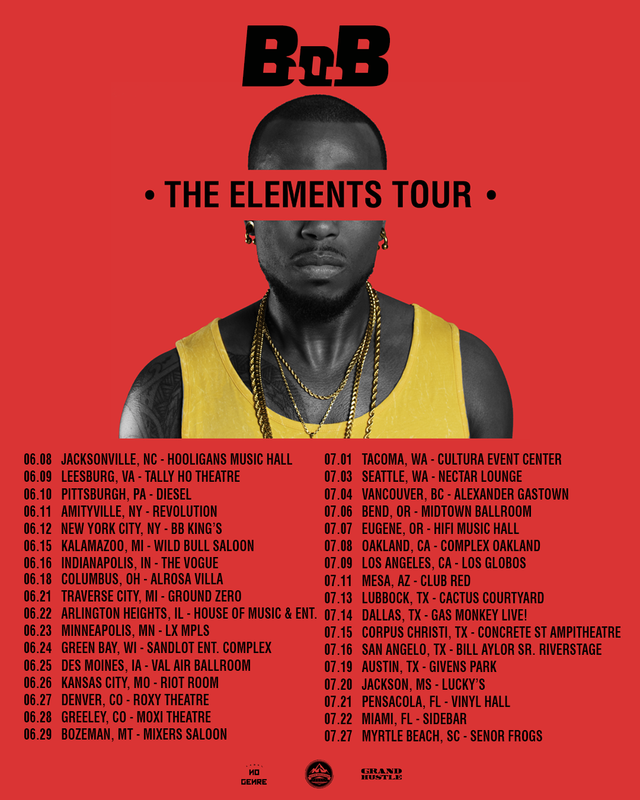 B.o.B's Elements Tour will kick off June 8 in Jacksonville, NC, hitting hotspots across the country like NYC, Kansas City, Seattle, and Oakland before wrapping on July 27 in Myrtle Beach. Special guests on this 35-date run will be announced in the coming weeks. Can't wait? Same. To celebrate the announcement, we've got your behind-the-scenes look at the making of the video for "4 Lit". Check that out below, then head to the pre-sale link here to secure your tickets to see the "Roll Up" musician when he brings this tour to a city near you! 7/14: Dallas, TX @ Gas Monkey Live!